A one day seminar “Child Friendly Cities: Special Focus on Rights of Children: Social Work Intervention to commemorate Word Social Work Day was organised by Centre for Social Work, Panjab University in collaboration with Chandigarh Commission for the protection of Child Rights and State Legal Service Authority, Chandigarh, here today. Ms. Harjinder Kaur, Chairperson, Chandigarh Commission for Protection of Child Rights was the Chief Guest and Sh. Mahavir Singh, Member Secretary, State Legal Service Authority was the Guest of Honour of the Seminar. Shri. T.C. Nautiyal from Indian Forest Services was also one of the panellists in the seminar. 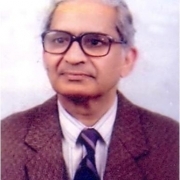 Professor Ram Lal Gupta, who served the University Institute of Pharmaceutical Science, Panjab University dedicatedly for around 33 years, left for his heavenly abode yesterday evening. Former Dean of Faculty of Pharmaceutical Sciences, Professor Gupta was a highly dedicated teacher, prolific researcher and experienced organizer of the Pharmaceutical Conference events. 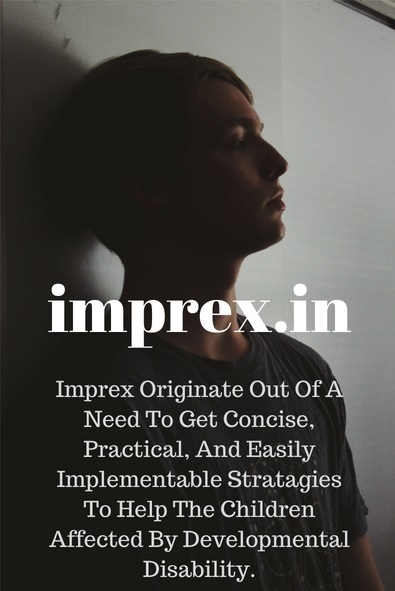 He has been the Founder Director Principal of ASBASJS Memorial College of Pharmacy at Bela (Dist Ropar) too, which he served after his superannuation from Panjab University for about 16 years. He is survived by his wife and two daughters. Venue: Seminar Hall (Top Floor), Emerging Area Building, Near Student Centre, PU. 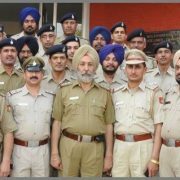 Chandigarh Police arrested Pappu R/o # 717/27, BDC, Sector-26, Chandigarh (age-50 yrs.) from TPT Light Point, towards BDC light point, Chandigarh andrecovered 410 injections of drugs from his possession on 17.03.2019. A case FIR No. 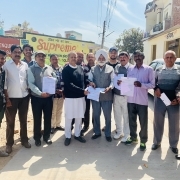 58, U/S 22 NDPS Act has been registered in PS-26, Chandigarh. Investigation of the case is in progress. 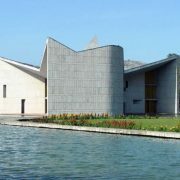 Centre of Academic Leadership and Education Management (CALEM), Department of Education, Panjab University, Chandigarh – under the aegis of Pandit Madan Mohan Malaviya National Mission on Teachers and Teaching (PMMMNMTT), Ministry of Human Resource Development, Government of India – is organising seven days’ workshop on ‘Inclusion: Making it happen’ from 11th to 17th March, 2019. On the seventh day of National workshop on “Inclusion: Making it Happen”, participants shared their experiences of the workshop. 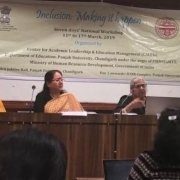 Prof. Tehal Kohli, President, INPA shared her journey in the field of inclusive education and Professor Anuradha Sharma summarized the report of the entire workshop. 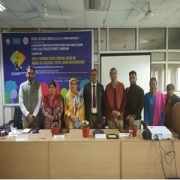 Prof. Latika Sharma, Chairperson, Department of Education, Panjab University congratulated the organizers and the participants on organizing a successful workshop Prof. Kirandeep Singh encouraged the participants. Participants were handed over the certificate. Prof. Raj Gupta, professor, Department of Education concluded the session by expressing gratitude to all the stakeholders in the workshop. University Institute of Legal Studies, Panjab University, Chandigarh organized and concluded the 2nd Intro Department Trial Advocacy Competition, 2019. The black and white embellishments welcomed the spirit of 40 Teams from within the department to show their skills in art of articulation. 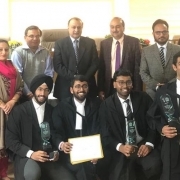 The first day of Competition comprised of one preliminary round adjudged by advocates of Punjab and Haryana High Court, District Courts of the Tricity and Alumni of UILS. The first round commenced after the briefing of the judges in the moot court hall. The bars were set high by the end of the first round due to exceptional analytical and argumentative skills. The preliminary round 2 proceeded on 2nd day with participants and witnesses demonstrating exuberant devotion towards their argumentative skills. The judges of the preliminary rounds were acknowledged with mementos as a mark of respect. 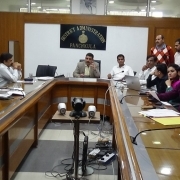 The 2nd day then preceded with quarter finals adjudged by advocates of Punjab & Haryana High Court and District Courts followed by Semi final rounds adjudged by senior advocates and senior professors of the department. With vibrant argumentative skills, top two teams qualified for the finals in the moot court hall adjudged by Hon’ble Mr. Justice Rajan Gupta, Hon’ble Mr. Justice Avneesh Jhingan and Prof. (Dr.). Rajinder Kaur, Professor, UILS, PU. The whole event was successful because of creative and scholarly richness of the organizing committee who worked under the guidance and support of Prof. (Dr.). Rattan Singh, Director, UILS and Dr. Jai Mala, Faculty, Coordinator, Moot Court Society, UILS, PU. 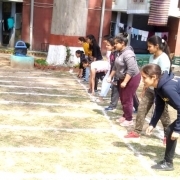 Annual sports day event held at Girls Hostel No. 2, Panjab University, Chandigarh in the Hostel ground. Residents participated in the events like 50 m race, 100 m lemon race and other indoor games like badminton, carromboard, chess etching. Dr. Kamla, warden encouraged students to take part in the games.